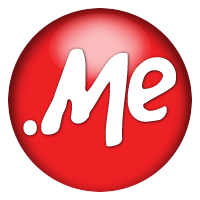 A domain name born with superiority. .top is a gTLD, officially delegated in ICANN's New gTLD Program on August 4, 2014. The extension is managed and operated by the .top registry. Companies from various industries and people from all walks of life use .top domains, to tell their customers, clients, partners, fans and audience that they are offering the best products, services and performance, that they are trying to get to the top, and they are or will be on the top of what they do. .top domain name is an up-rising star in the domain registration industry. It appeals to a large amount of users from 1 million to 2 million in 3 months. Now it has ranked No.2 on the world's new gTLD market in terms of registration volume. There is a growing number of new gLTDs emerging in these years, but less of them can be put on record with Chinese national goverment. As one of the three gLTDs that were put on record in China, .top is far ahead of the competition. As with the policy support for .top introduced in the end market, .top domain name is committed to building enterprise application ecosystem by offering quality resources and excellent internet development platform.